The Clinch County Hospital Authority has the responsibility to ensure that Clinch Memorial Hospital, including its physician office complexes, renders quality health services to the Clinch and surrounding counties. The Authority is governed by a Board of Trustees, which is responsible for the proper operation of the various medical facilities operated by the Authority. The Board consists of seven members from Clinch County, each nominated by the County Commissioners. The Board meets to conduct regular business on the fourth Thursday of each month at 5:30 p.m. Regular meetings are conducted in the Board Room at Clinch Memorial Hospital. 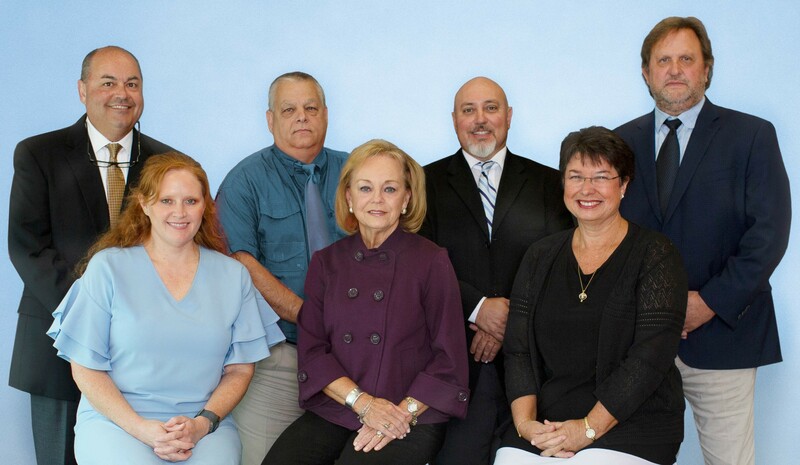 Clinch County Hospital Authority Board 2018. Front row, left to right: Betsy Clifton, Ellice Martin, and Beth Jones. Back row, left to right: Jeff Brown, Louis Casada, Robbie Lee, and Robert Varnedoe.